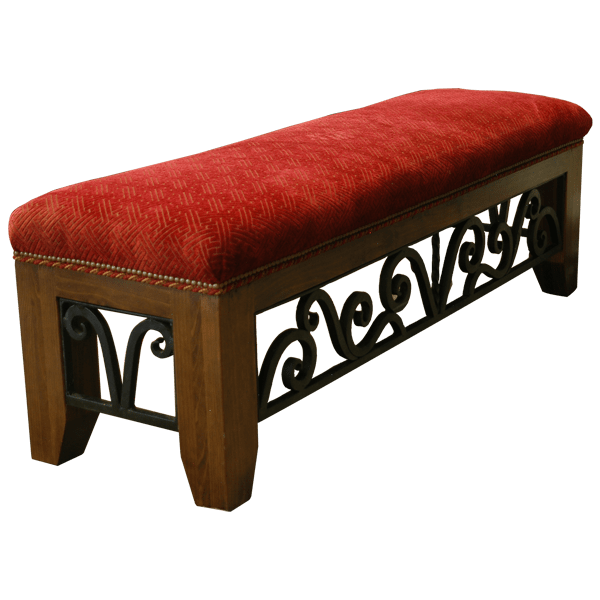 Add color to your home décor with the brilliant, red upholstery of this handcrafted, Western style bench. For comfort, the seat is well padded, and the seat is covered with radiant, red patterned, fine fabric. The fabric is precision hand tacked to the wood frame with lovely, decorative, gilt nails. 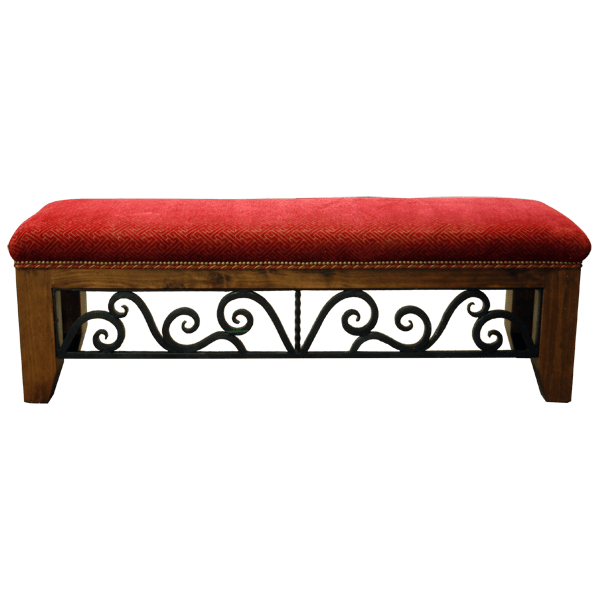 The bench is supported by sturdy, solid wood, tapered legs, and the legs are connected by curved, hand forged iron, front and side stretchers. All of the hand forged iron work is created in our factory by our resident blacksmiths. It has a classic finish, and it is made with the best, sustainable, solid wood available. The bench is 100% customizable.